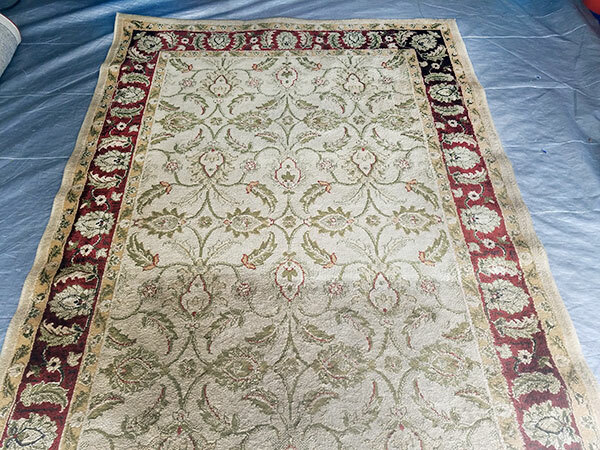 Here is a recent area rug cleaning in progress from our shop in Tampa FL. The top two thirds of the rug have been cleaned. You can see the bottom third is rough and dingy. from being the welcome rug into the home. The rug is 100% olefin. A completely synthetic fiber that is really quite durable. It also can be cleaned with really good results. We recommend an in shop cleaning about once a year for olefin rugs.